As the nights remain warm and light, may the fresh summer salads keep coming. This easy and refreshing salad is great for entertaining or an easy weeknight meal. 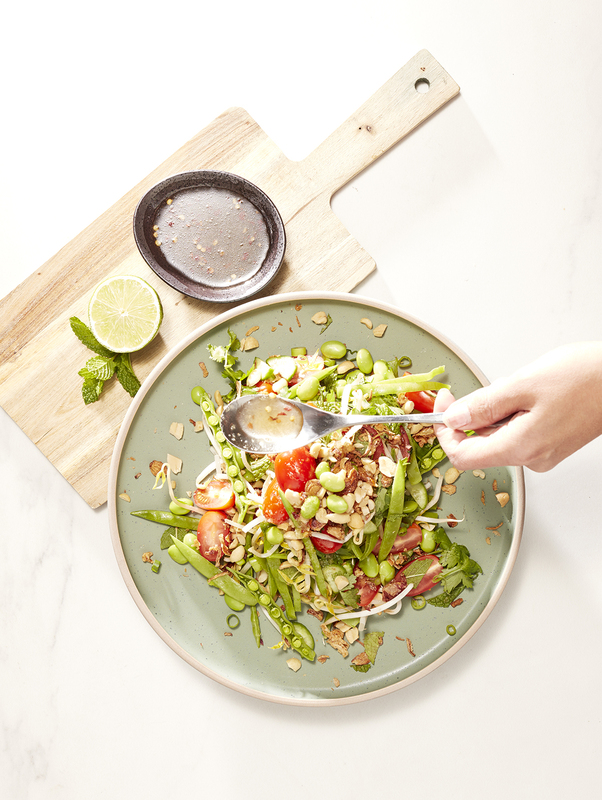 Crunchy, sweet, salty and tangy – make this salad your next go-to on a hot summers night. Mix together all the dressing ingredients, taste and leave till ready to dress the salad. In a large bowl mix together the salad ingredients, except for the mint and coriander. Refrigerate till needed. 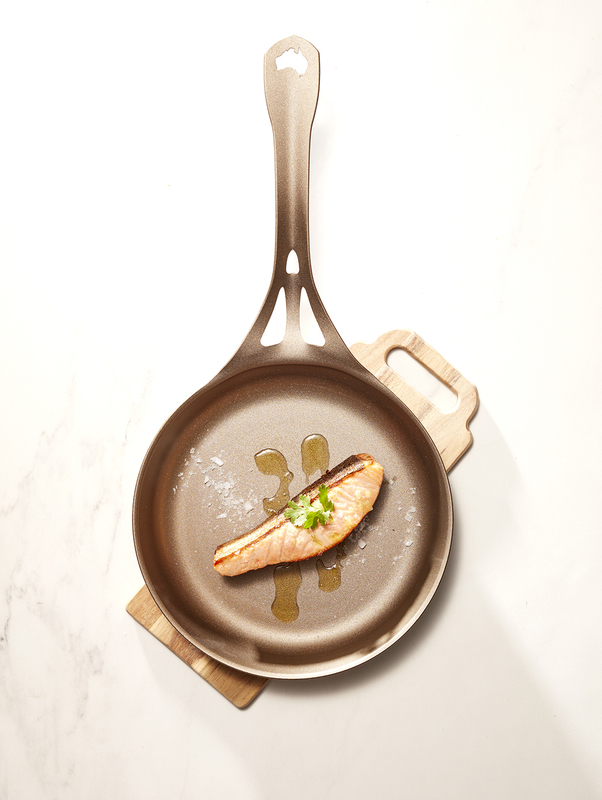 To cook the salmon, heat a frying pan over medium-high heat. Add the oil and once it is hot, place the salmon fillets, skin-side down and cook for 2-3 minutes. Flip and cook for 2-3 minutes on the other side, depending on the thickness of the fillet. While the salmon is cooking, add the mint and coriander to the salad ingredients. Toss the salad with the dressing. 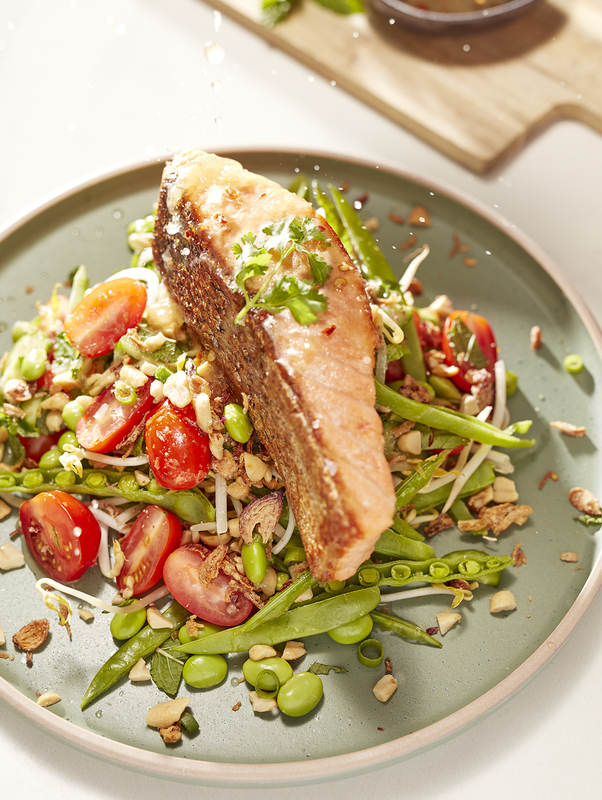 Place in a serving bowl and top with the cooked salmon, peanuts and fried shallots. To make the salmon skin as crispy as possible, pat dry with paper towel to absorb any excess moisture. Run the back of a large knife along the length of the skin which helps maximise the skin’s crispiness. 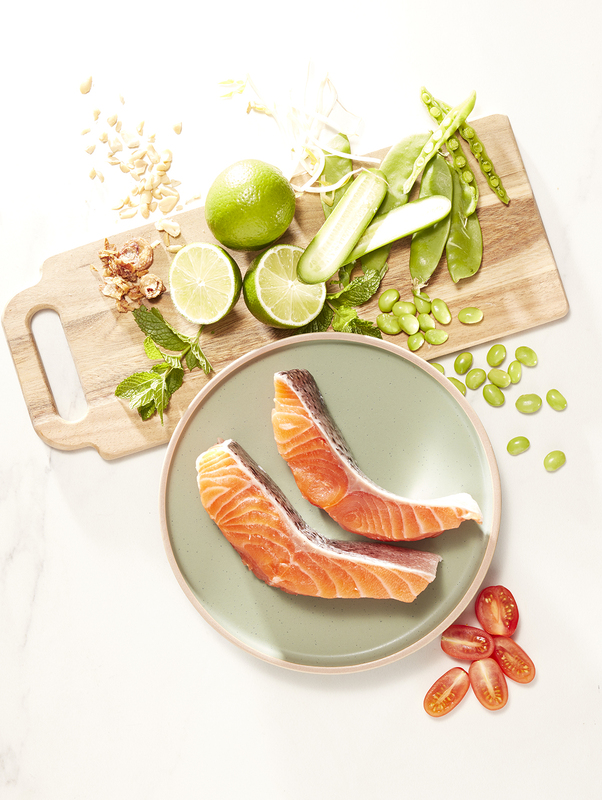 Don’t limited serving this refreshing salad with just salmon. It works very well with many forms of seafood, chicken, tofu or red meats. Let your imagination run wild!